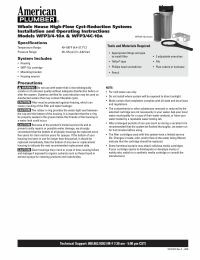 The WFP3/4C-10AFW is a standard, high-flow carbon block system. Utilizing the unique Fiberdyne® carbon technology, the WFP3/4C-10AFW system delivers extremely low pressure drop while maintaining a 0.5 micron efficiency for the best chlorine taste & odor reduction and the reduction of cysts. 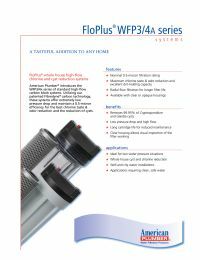 System includes the FloPlus-10 filter cartridge, Pentek 3G Standard Clear Housing with pressure relief button, and a Standard Filter Housing Wrench.